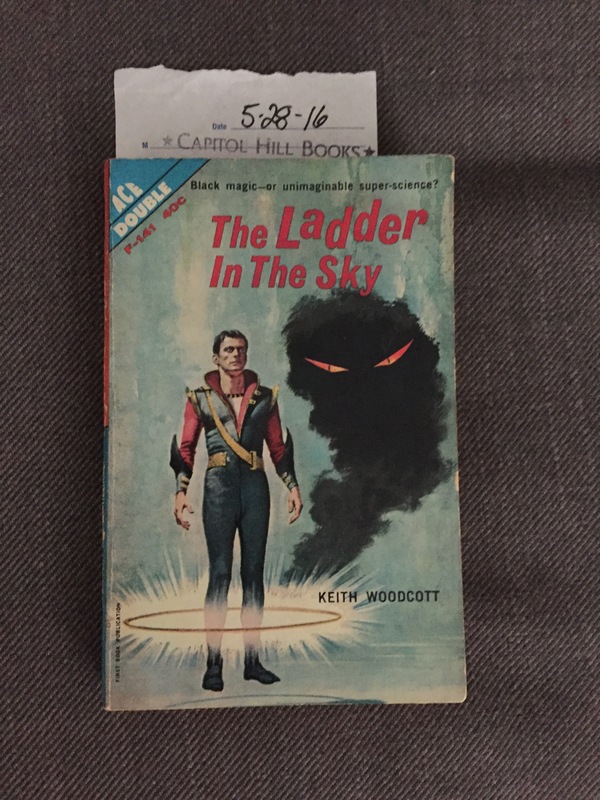 The Ladder in the Sky, one half of an Ace Double (the other half being The Darkness Before Tomorrow) is an oft told tale of an ordinary man given amazing intellectual, including mystical/psychic/super-science powers. It does nothing very well, but nothing badly and I was entertained for an hour or so. 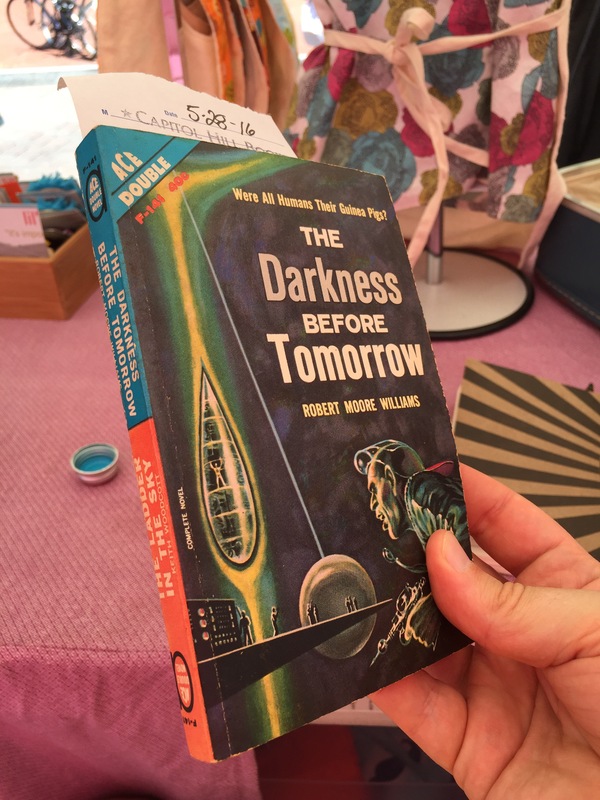 If there was something, not exactly new, but different, was that it took place in ‘the future.’ Normally, the ordinary person lives in more or less modern times, but in this case, it was already a science fiction setting with interstellar travel and what not. That day I’d brought two books with me to read while I was working for my better half at Eastern Market. Unfortunately, I’d misjudged the speed of my reading and found myself bookless by noon, so I ran to Capitol Hill Books during a lull and grabbed this Ace Double – mostly because it was an Ace Double and I just think the idea is cool – for four dollars twenty-four cents, including tax.